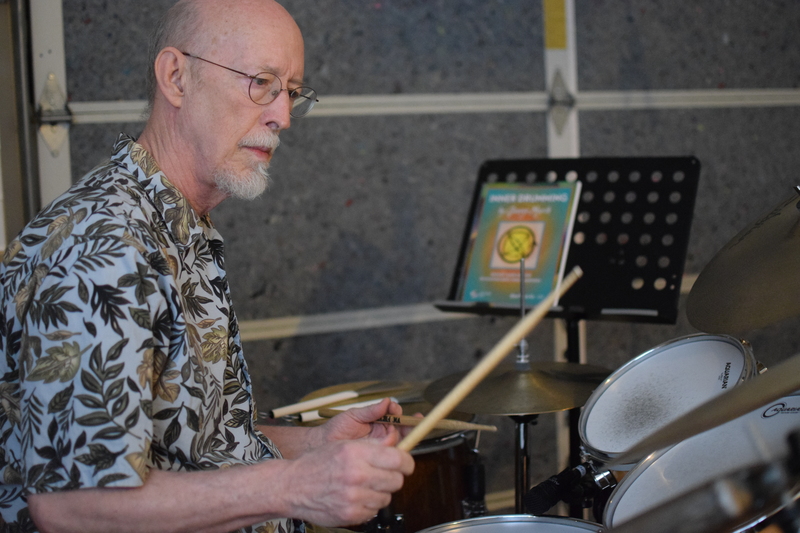 A jazz drummer by training, Marsh has played with everyone from rock and roll pioneer Chuck Berry to legendary singer Barbara Streisand to Grateful Dead guitarist Jerry Garcia and countless others in his 60-year-career. He has been working on this book since 1984 and the updated version, released last year by publishing giant Sher Music, is more than just a book — it’s more like a philosophy of playing music. "’Inner Drumming’ is dealing with how energy moves through your body to create the sounds you're going to be playing on the drum set,” he says. “It's not telling you to play any style." This philosophy translates to other instruments as well. "Any instrumentalist of any kind is feeling the energy moving through their body to create sound. ‘Inner Drumming’ is the study of how to focus and work with this energy as it moves through all four limbs." 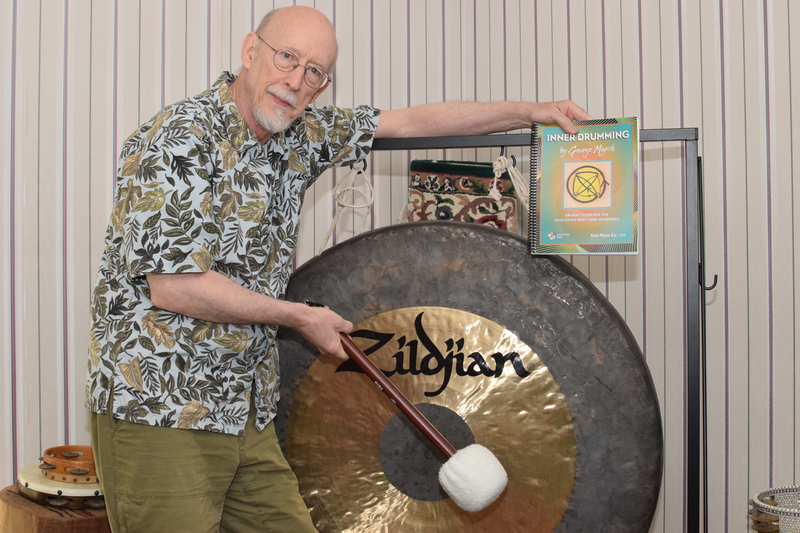 Marsh was already an accomplished musician and teacher in the early ‘80s when a student, Bob Amacker, who was a Tai Chi instructor, encouraged Marsh to feel the energy in his body throughout each movement of his playing. Every kick of a big bass drum; the quick hits of the snare or ride cymbal; the foot pedal keeping time with the opening and closing of the hi-hat —the energy of each sound beginning as a movement of energy inside the drummer’s body. Marsh has even introduced the practice to his students at Sonoma State, bringing in a Tai Chi master for a three-hour class. “The students really connected with it,” he says. The notation in the book looks like hieroglyphics to the uninitiated. Instead of bar lines and beat markers, “Inner Drumming” features four dots in the shape of a square representing right hand, left hand, right foot and left foot. Arrowed lines describe each exercise, to be taken at the student’s own tempo. It may be challenging for beginners, says Marsh, but most players will be able to understand it quickly, especially when using the accompanying DVD or videos on YouTube. “It can be steady rhythm, pulsed, however you want,” says Marsh. “The point is that you are feeling how it's moving in your body.” The goal of the book is to provide examples of how to travel from limb to limb with all four limbs. The internalization, in combination with traditional music study, can lead to those magical moments where music seems to creates itself.